Last night our team had a wonderful moment. Not only did we have another successful year, but we’ve been ranked as #9 in the TBJ’s Fast 50 Award. We are proud of our team, their commitment and the work we’ve all accomplished. We are also thankful to have the dedicated partners in our community that have supported our success. Thank you for being part of our remarkable growth and congratulations to all of the Fast 50 Winners! 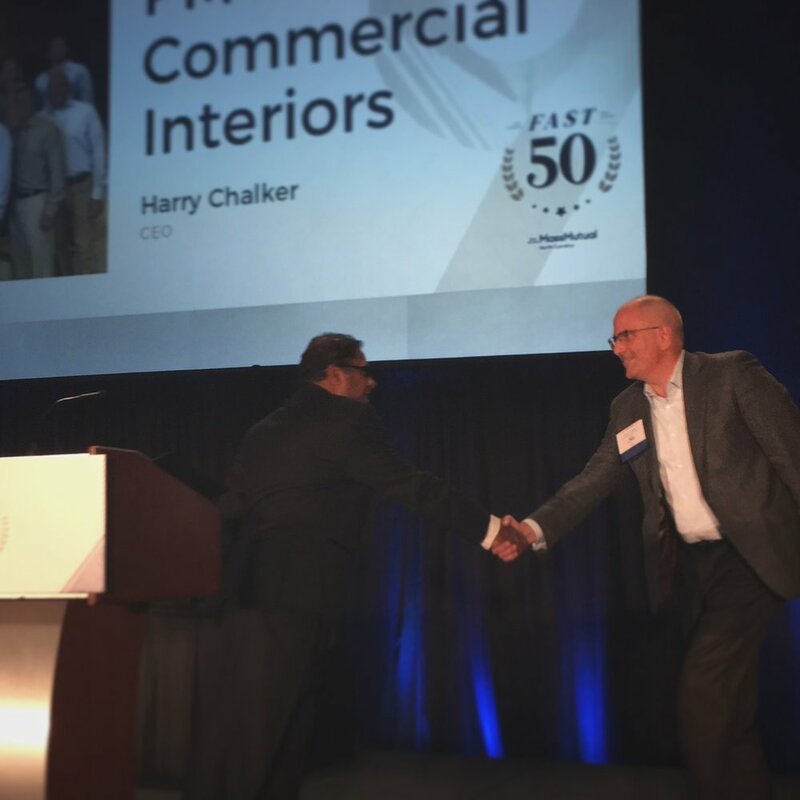 Harry Chalker, CEO accepting the 2017 TBJ Fast 50 Award. The Fast 50 winners were selected and ranked based on a formula that counts revenue growth and profitability in the preceding three years (2014-2016). The numbers are crunched and analyzed by PricewaterhouseCoopers, a Fast 50 partner.